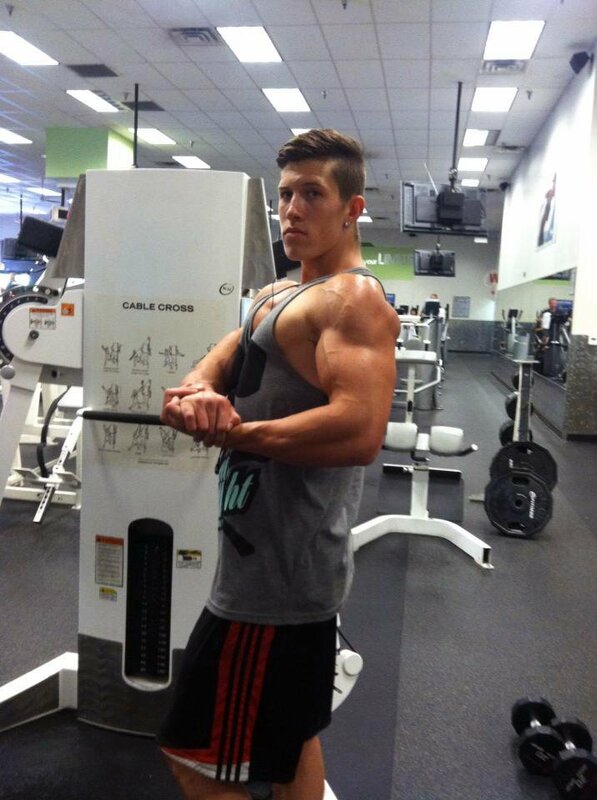 Teen Amateur Of The Week: Mind, Body, And Swole! Impressive muscles can't appear without an impeccable mind. See how Dalton advanced beyond his teens mentally and physically! I played soccer and baseball for seven years during my youth. The summer before my freshman year of high school I was introduced to lacrosse. I played in the high school summer league and instantly fell in love with the sport. I liked how it was a combination of soccer and baseball, but involved physical contact. Toward the end of summer league, I unfortunately chipped a piece of cartilage in my knee that popped in and out of place whenever I tried to run. I had arthroscopic surgery on my knee and made a full recovery in time to play my freshman year, but cracked a bone in my wrist the week before the season started. I was in a cast for eight weeks and had to help lead my team from the sidelines. It was a difficult time for me, but helped me grow into a leader. I played as a starter on varsity as a sophomore. We had a great season and made it to state. My parents divorced the summer going into my junior year. It was a hard time in my life and many things fell by the wayside. I was kicked off the lacrosse team at the beginning of my junior year for poor grades. During my junior and senior year I focused on weightlifting and learned about fitness. I saw great results because I committed to training and nutrition. I was immediately drawn to Arnold and his amazing story. He was my main motivation to start bodybuilding. He has an amazing story and, in my eyes, the best physique of all time. The results sold me on bodybuilding. I loved having the ability to transform my physique, health, and gain knowledge to help others do the same. Most people think I go to the gym to get more muscular, which is part of it, but there's much more than building muscle. It's a stress reliever, because I spent countless hours in the gym when my parents divorced. One of the most important aspects of training is what it does for the mind. It teaches control, dedication, and perseverance. Arnold has always been my motivation, but I have to give it up to my friends, family, and girlfriend who supported my dreams and had my back. In my experience, the best workout plan is one that's constantly challenging. If it doesn't challenge you, it doesn't change you. Each workout should be more intense than the last. Some of my favorite training techniques are supersets and dropsets, because going to total failure produces great workouts. Everyone is different. Find what works best for your body but keep it fresh. The most important training aspect is mental focus. If you're unfocused in and out of the gym, your gains and/or weight loss goals will suffer! I warm up on the treadmill for five minutes and do light dumbbell work focused on the muscle group I'm training that day. A diet that fuels your body for muscle gains and weight loss is the most important aspect of fitness. Without proper nutrition it's impossible to create a great physique. I didn't start seeing solid gains until I fine-tuned my diet. Everyone is different, so no single nutrition plan is the best. I love bodybuilding because you can to see your body completely transform physically through hard work and dedication. It's amazing to see the true potential of what your body can achieve with proper exercise and nutrition. I love that bodybuilding can develop your mind. I went through hard times the past few years. With the help of family, friends, and bodybuilding, I was able to use the negativity as fuel for physical and mental growth. I have to thank Jesus Christ. Without him, I wouldn't be here. My family, especially my mom, dad, and girlfriend, Stephanie, have been my biggest supporters. My best friend and training partner, Armen, is one of my biggest motivators. He keeps me going forward and always pushes me to work harder. I wouldn't be where I am today if it wasn't for their help and support. I always looked up to Arnold Schwarzenegger. If it weren't for him, I would've never got into bodybuilding. It's amazing what YouTube has to offer. On days when I wasn't driven to prepare 6-8 meals and train for two more hours, I simply searched "Bodybuilding Motivation" on YouTube. You will be amazed at how fast your mindset can change. I want to keep transforming my physique in the next year to get a sponsorship and compete professionally. Through fitness, I hope to grow many relationships and help others reach their goals. 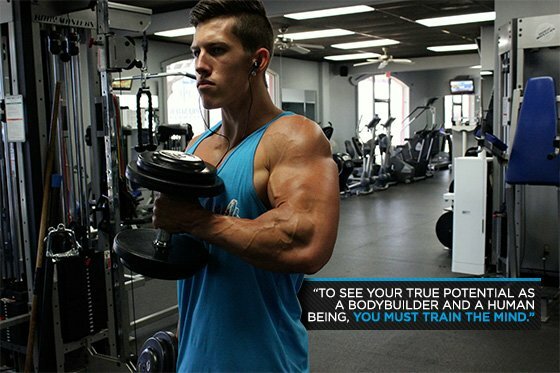 To see your true potential as a bodybuilder and a human being, you must train the mind. It's the most powerful tool we have. The reason people fail is because they decide in their mind that they "can't" and then the body fails. You have to change your way of thinking from "I can't" to "I can." Always remember, you're God's highest form of creation. There's nothing that can stop you from reaching your goals, but yourself. Arnold was a dreamer and a hard worker. He's been a great source of motivation. I look up to many old school guys, but Arnold will always be my favorite. 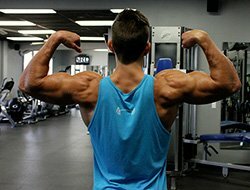 Bodybuilding.com helped me achieve many goals and stay consistent in my training. 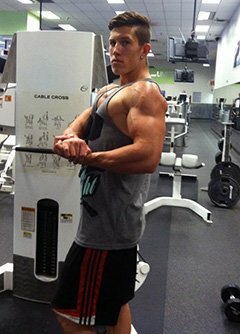 You can find the best supplements and lowest prices on Bodybuilding.com, which originally drew me to the site. BodySpace became a great tool for motivation. I had the ability to post before and after pictures and see that I was making progress. "Go Get It" by T.I.